I went to a wedding recently of a couple that are close to my family. The venue was prettily decorated and everyone was dressed in their best to help celebrate the happy day with the couple. 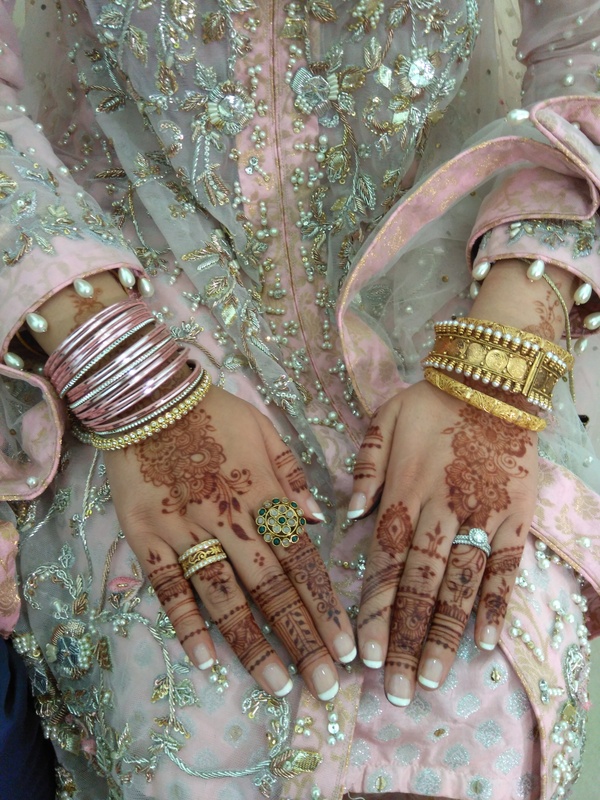 The bride and groom made for a handsome couple, and I loved how the bride’s hands had beautiful henna on them and were embellished with some sparkly jewellery. Everyone had a great evening and I hope the couple have a happy, healthy future ahead of them. 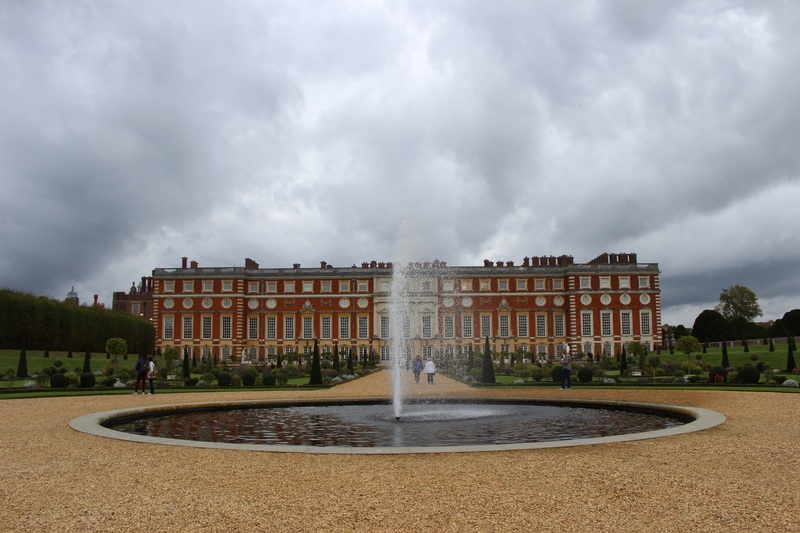 I went to Hampton Court Palace a few weeks ago with my family for a day out. 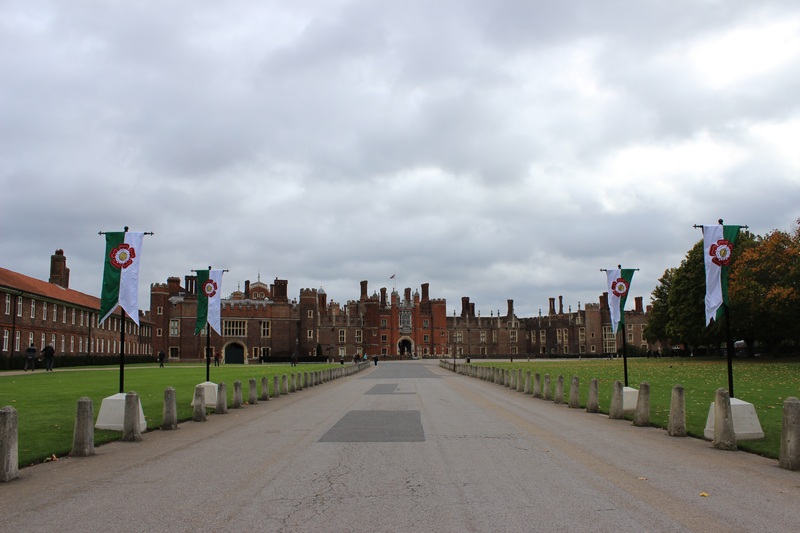 The Palace was once the home of King Henry VIII and was built in the Tudor style in 1514. The building and grounds are huge, with mazes, gardens and so much more. Walking up to the Palace and through the entrance was a large courtyard. 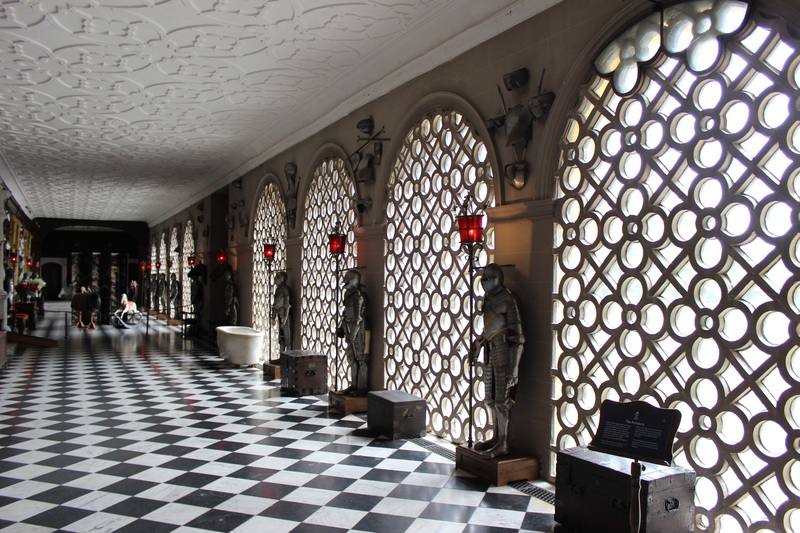 There were huge tall pillars along a walkway leading to other rooms, high walls with a decorative clock and a fountain with statues to depict what life may have been like. Inside were some beautiful rooms and staircases. 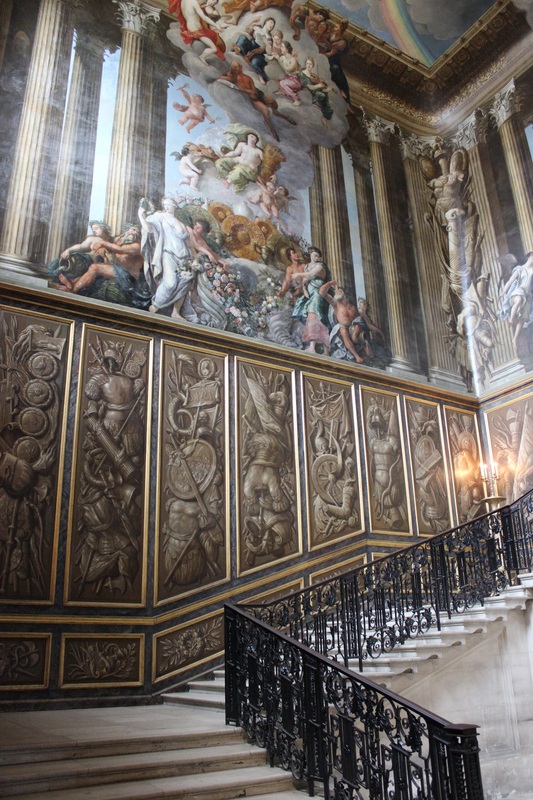 The King’s Staircase was especially wonderful, with a huge painting across the entire wall and ceiling, and an intricately made handrail leading up the stairs. The rooms were set up as they would have been when it was lived in, with costumes and props on display and with facts of King Henry’s life there. The inside ground walkways opened up to courtyards that had fountains and statues. 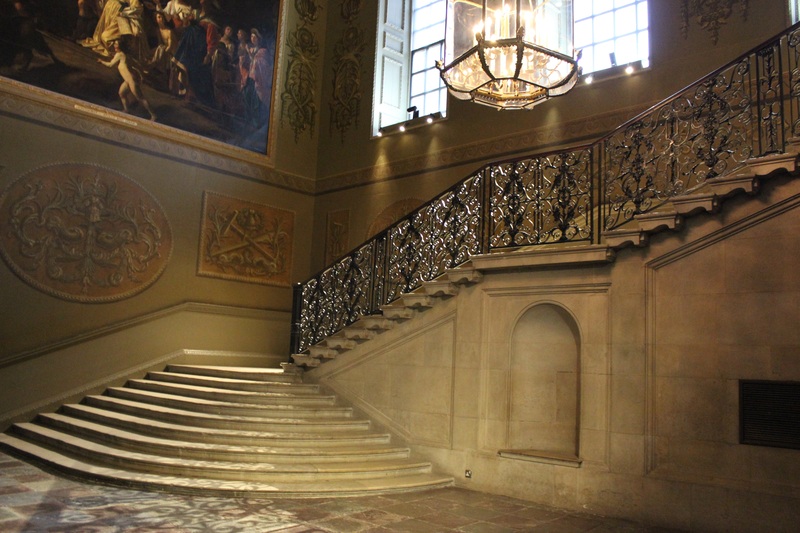 On the other side of the building was the was the Queen’s Staircase, also quite beautiful, and was lit in a soft, warm light. After looking around the main part of the Palace we headed towards the gardens. The Great Fountain Garden is one of the largest and was one that we came upon first. Just as we entered a horse and carriage pulled up, and we all piled on excitedly for a ride around the garden. After our ride we walked towards the other gardens, the main one was The Privy Garden which was set out in an Italian style and was very well looked after. Along one side was a long, vine coloured walkway which was lovely for a stroll. Nearby were other well kept, but smaller gardens. I personally loved walking through the rose garden which gave off an amazing scent. The Palace also had a maze, which is England’s oldest surviving at 300 years old. We had fun looking for the centre and then our way out. Next we visited the huge play area for children, with high bridges, hills and sculptures. Hidden away, the Palace also had The Great Vine, the largest and oldest known grapevine in the world, at over 240 years old. There was a lot to see, with some beautiful, grand rooms, staircases and gardens, and we easily spent a whole day there, after which we were all completely exhausted. I can see now, why Hampton Court Palace is so popular and it was amazing to see and learn about the history of how Kings and Queens of our past lived in such an opulent palace. 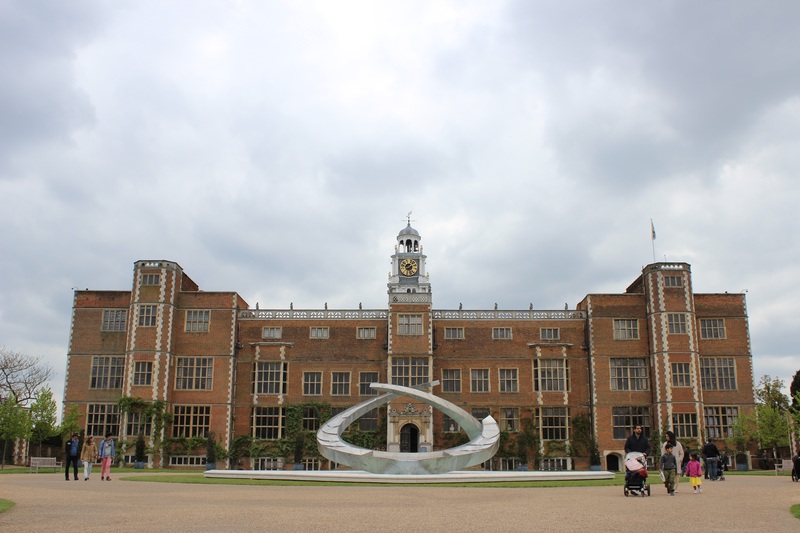 A few weeks ago I went to Hatfield House, situated just outside London, which is a Jacobean styled country house that was Elizabeth I’s childhood home. The site was huge with beautiful gardens, grounds and a farm along with the main building. The house itself was grand looking and had an unusual looking, moving fountain in front of it. The rooms inside were stunning, and as I walked from room to room and through the corridors I could see the level of detail that went into the embellishment and upkeep of the place. The ceilings were one of my favourite features with each room having a particular style, each beautiful in their own way. The hallways were covered with intricately woven tapestries and the elegant furnishings were stunning, like this green velvet chair. My absolute favourite room was the Armoury. The pretty cut out panels contrasting with the masculine figures wearing amour made the room both modern and historical at the same time. The other rooms that really stood out to me were the Long Gallery with its distinctive golden ceiling and the Library which would be my dream room with all the amazing books. Once I’d looked around the grand house I made my way to the gardens. There were several garden each with a different style and character. 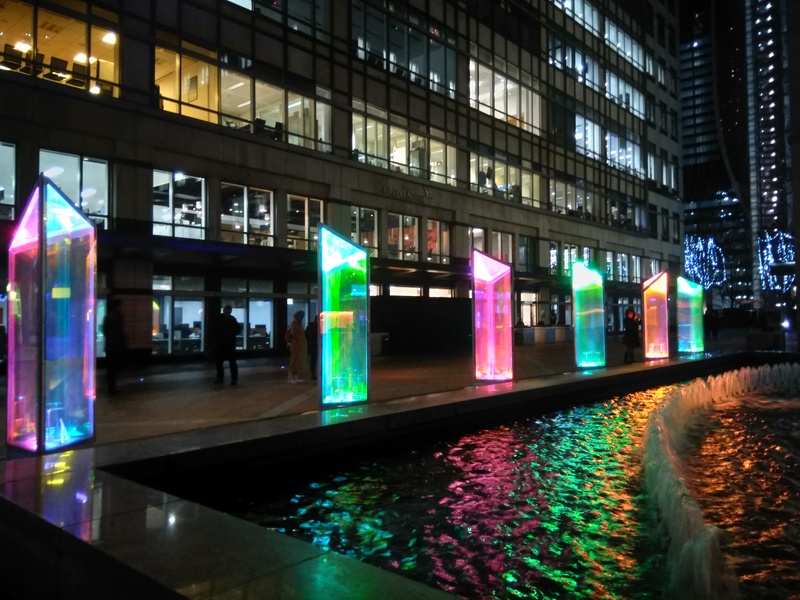 The one that I liked the best was West Garden with the fountain centrepiece and pretty flowers. The others were just as lovely, one had a large sundial while the others had long walkways and primped hedges. Heading further out were the Woodland Gardens, and I was happy that I was in time to see the carpet of bluebells that had bloomed. 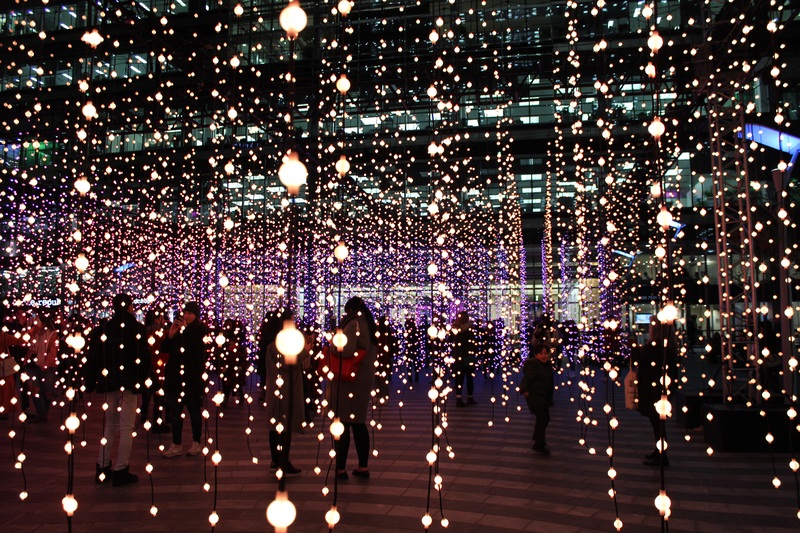 Beyond, were the grounds, which were magnificent. I was able to look in all directions at the wonderful green landscape without seeing the borders. One interesting landmark that I came across was a tree with a plaque, stating that this was the spot that Queen Elizabeth I was standing in when she was told she would be queen. After walking through part of the enormous grounds I headed back towards the entrance, stopping to visit the gift and toy shop. Spending the day at Hatfield House was relaxing, informative and beautiful. The House had stunning rooms that were without doubt fit for a Queen, and the gardens were amazing with pretty flowers, fountains and greenery as far as the eye could see. It’s no wonder that such a place has been used so frequently in films and holds such appeal with the public.